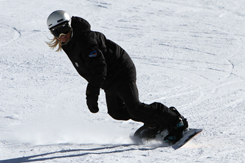 James has been instructing in Val d’Isere now for 5 years and it has very much become his winter home. 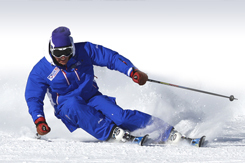 He loves teaching at every level of the sport; whether it’s seeing the progression through beginner sessions and allowing people to experience the mountain for the first time, helping people break through their nerves in their skiing and being able to move forward with their technique or taking skiers to explore the wealth of the off piste in the Espace Killy. It’s always an exciting day on the hill. 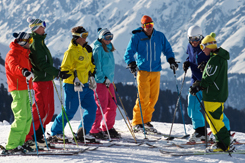 James also works with the British Association of Snowsports Instructors and assesses instructors working towards their qualifications at a variety of different levels. In this role, where he refines the teaching techniques of others and coaches to a very high technical level, he is able to reflect continuously on his own instructing and develop new innovative teaching ideas to then use in all of his own sessions. 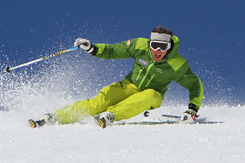 James has skied and worked in the southern hemisphere in Treble Cone – New Zealand, as well as across the Alps in Courmayer – Italy, Verbier –Switzerland and Megeve and Chamonix before settling in Val d’isere, now for his 10th winter. 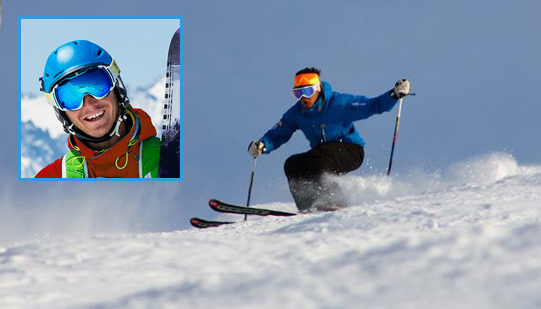 When not on the slopes, James spends the summers in the UK teaching tennis and cycling.